Lake Vyrnwy is a beautiful place and where could be better to spend the afternoon of Sunday 15th September to support Vic Davies running the Half Marathon and raising money once again for us. The race starts at1 pm but it is advisable to get there in plenty of time. 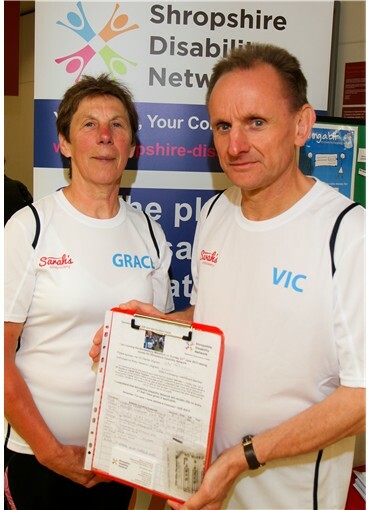 It really would be good if a group of us could go along, cheer Vic on as he runs his favoured distance and also put Shropshire Disability Network on the map again. Anyone wishing to make a BACs transfer should contact us in order that we can tell you how to donate. One noticeable thing about Marathon events is the comradeship among people representing the same organisation. If you are running Lake Vyrnwy but have not decided to raise money for a charity, then please consider us. If you would like to run for SDN at this event, or future events or know someone who would like to do so, please ask them to get in contact. Not only does it help SDN but it helps fellow runners. This entry was posted in Blog, News on July 23, 2013 by .